Continental shelf and slope geomorphology: marine slumping and hyperpycnal flows (Sardinian southern continental margin, Italy). 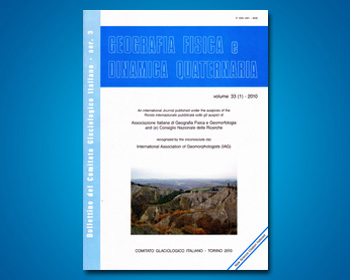 The study area is located in southern Sardinian continental margin, morphostructural characters that control the southern Campidano affect the structure of the continental shelf in front. The southern part of the Sardinian rift, with the superimposed Campidano Graben structure, continues within the sea in the Cagliari Gulf, both at the continental shelf level and in the upper slope regions. In this area the morphology shows important tectonic features that follow the main regional tectonic. In particular the western shelf edge is oriented parallel to an important tectonic feature N. 130°, resulting in a steep (> 40°) fault wall exposure. The continental shelf reaches a maximum width of about 2 Km and is characterized by sub planar morphology with a slightly steep ground (about 3-4%). Along the eastern edge, an area characterized by the short distance between the shelf edge and the coastline (d < 1000 m) has been studied. In case of an important phenomena of mud-flow and debris-flow onshore, the turbidity can get to the shelf edge and trigger gravity flows to overload, putting, as a consequence, the coastal environment life at risk of abnormal waves back. Here, there is the Rio Geremeas, characterized by a steep river equilibrium profile (L = 15 km, H 900 m) that, in the event of extreme rainfall could generate to mud flows / debris flow resulting hyperpycnal flows at sea. The geomorphology of the slope is characterized by submarine canyon and several tributary channels, inside of them are landslides. Inside Foxi Canyon heads a retrogressive evolution have been detected bedforms characterized by a wave length of dozen of meters and a height of several meters, with the ridge lines arranged approximately perpendicular to maximum slope, this bedforms are called “crescent-shaped bedforms”. These forms could be generated by the erosion and deposition repetition due to the load of gravity sedimentary flows (Casalbore & alii 2013).